Superior comfort, style and feel great looking cover application plus our new tranquil ease USB charging power button with cool Blue LED lighting. 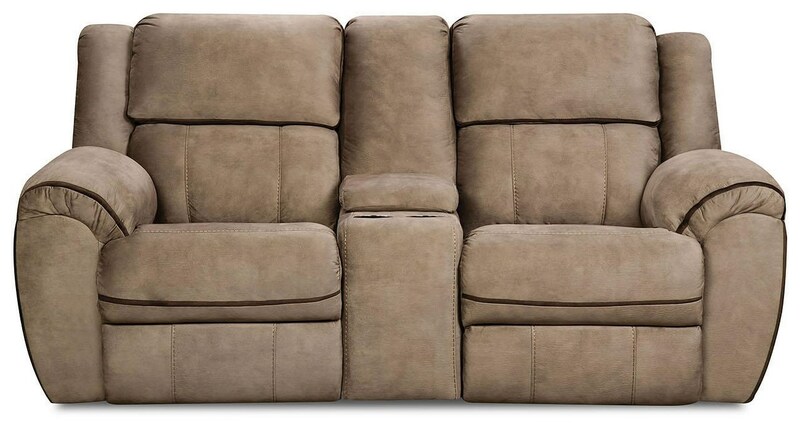 The 50436 Reclining Console Loveseat by United Furniture Industries at Furniture Fair - North Carolina in the Jacksonville, Greenville, Goldsboro, New Bern, Rocky Mount, Wilmington NC area. Product availability may vary. Contact us for the most current availability on this product. The 50436 collection is a great option if you are looking for Casual furniture in the Jacksonville, Greenville, Goldsboro, New Bern, Rocky Mount, Wilmington NC area. Browse other items in the 50436 collection from Furniture Fair - North Carolina in the Jacksonville, Greenville, Goldsboro, New Bern, Rocky Mount, Wilmington NC area.